The most artful grand opening of the year. The Minnesota Museum of American Art (the M) has been busy building a place as unique as the people in our community and, now, after almost a year of construction in the historic Pioneer Endicott buildings, the new M will open to the public on Sunday, December 2, 2018 with a full day of free, family-friendly experiences. 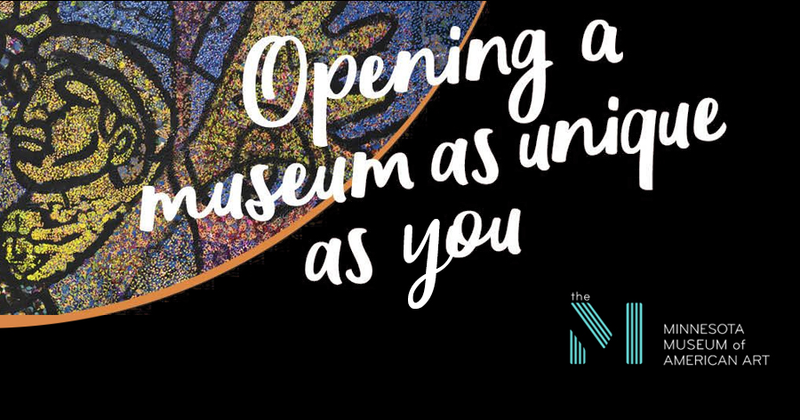 Activities include a ribbon-cutting with city and state leaders, art-making, performances, and curator-led tours of the M’s exhibitions in the brand new facility. In addition, the M will host a ticketed First Night preview party the night before, on Saturday, December 1.